Happy March, friends! Who doesn’t love junk food? We try to avoid it and make healthy choices but we are certainly attracted to unhealthy-fatty-full-of-calories junk food! But what if we try to «healthify» it? Then miracles happen! Like this one, people! 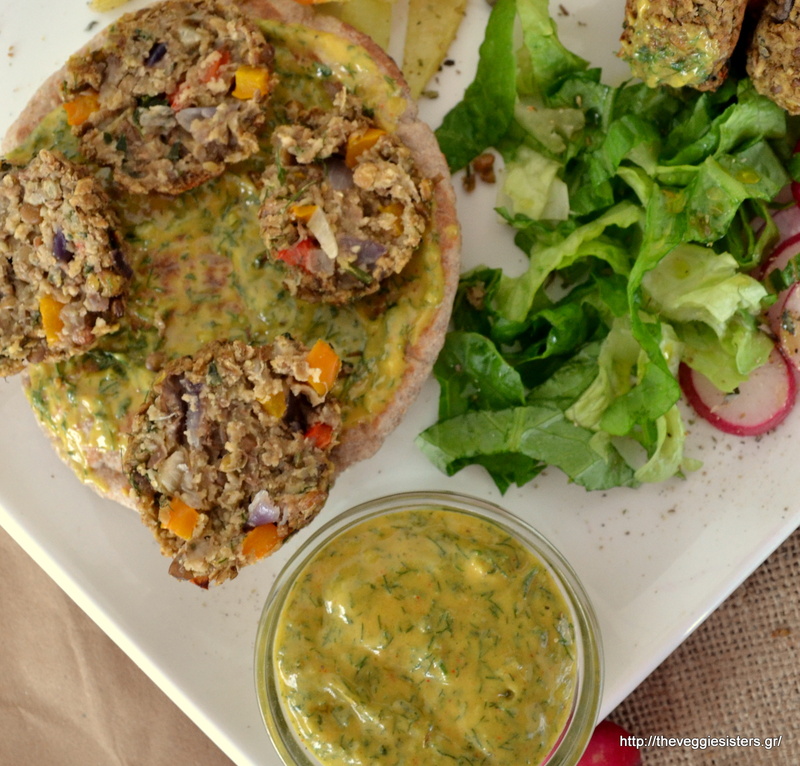 I proudly present to you my favorite pita: loaded with healthy, yummy stuff! 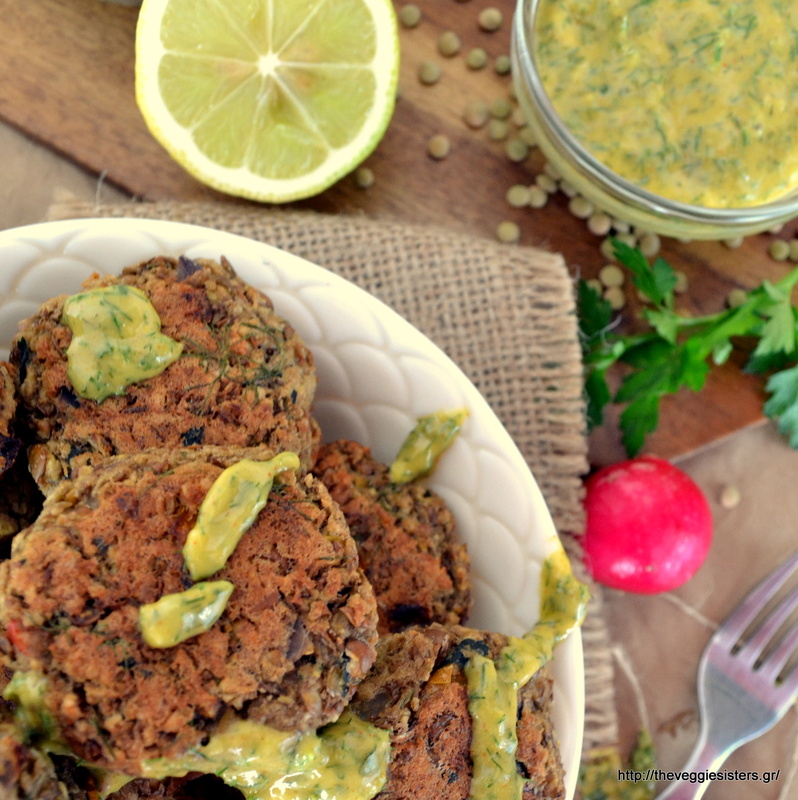 Fluffy lentil balls, herbed mustard sauce, oven baked «fried» potatoes (my new addiction! 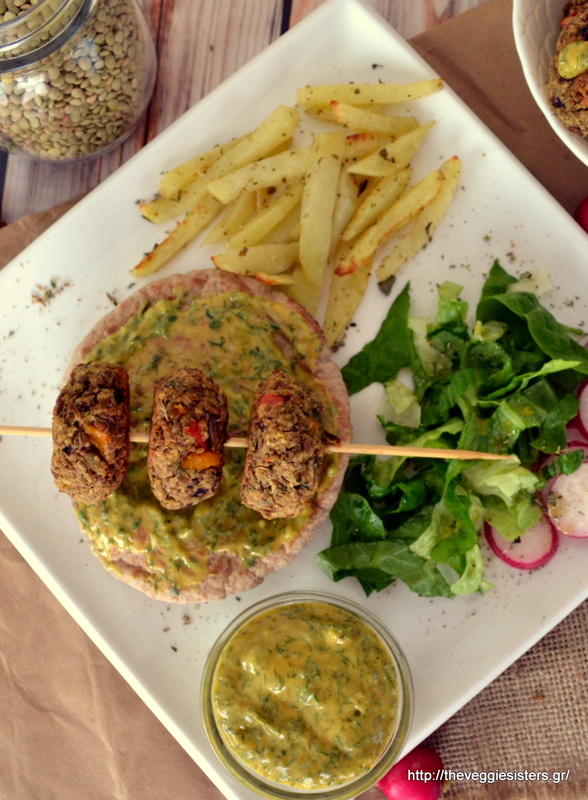 ), green salad on a crispy baked pita! What more can you ask? This is heaven! Try it and I bet you will totally agree with me! Cook lentils in a pot with bay leaves. Drain and allow to cool. In a blender pulse lentils until smooth. Add oats and veggies. Season with salt and pepper. Pulse again. Put the lentil mixtutre in the fridge for 1 hour. Then take it out and shape into balls. Lay them on a baking sheet lined with parchment paper. Bake in preheated oven at 180 C until golden brown turning upside down halfway through. In a blender combine all sauce ingredients and pulse until smooth. 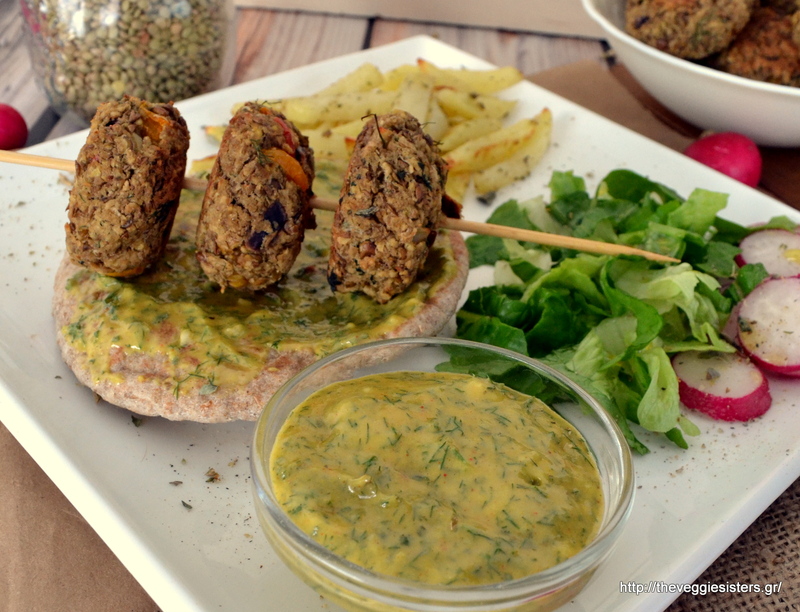 Bake pitas, spread sauce over them, top with green salad, potatoes and lentil balls and serve. Enjoy! Share the post "The vegan ‘s junk food"